""I feel for all of you who planned ahead to come to these shows and who have been so patient as I took the time needed to figure out the best course of action with my doctors"
In this Nov. 28, 2015, file photo, Shakira looks on ahead of a La Liga match between FC Barcelona and Real Sociedad at the Camp Nou in Barcelona. Shakira has some good news and some bad news about her "El Dorado" world tour. The bad news is that due to a prolonged recovery from a vocal cord injury, she has postponed the North American leg of her tour, having delayed her first set of tour dates in Europe last month. The good news is that she has set a new return date: she will be back on the road in June. Shakira had in November postponed the "El Dorado" tour, which was to start in Europe, saying that weeks earlier, she had suffered a vocal cord hemorrhage. She said she had already gone on vocal rest but that it did not alleviate her condition. On Wednesday, the singer and concert promoter Live Nation informed fans that the tour would be delayed longer. "To my dear fans and friends, I wanted to write one more letter to express my gratitude to all of you for the immeasurable love and support that you have sent me these past few weeks. You have made me feel that my voice is not only mine but also yours, and that it has a purpose. 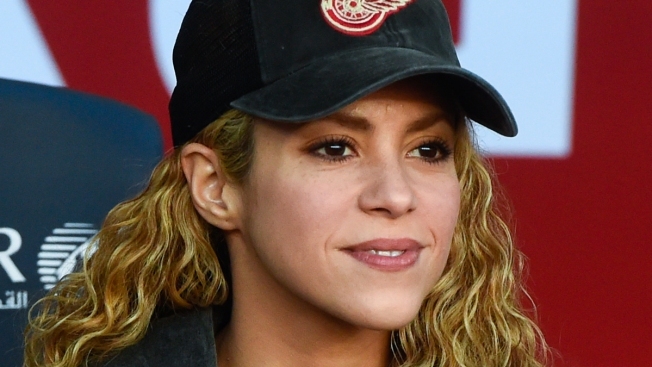 There were times when your prayers and messages of affection and encouragement along with those of my family were the only thing buoying my spirits," Shakira wrote in a statement posted on her website. "Though I very much hoped to be able to recover my vocal cords in time to pick the tour back up in January, and after exploring many options to that effect, I have accepted that this is an injury that simply needs more time and care to heal," she said. "I feel for all of you who planned ahead to come to these shows and who have been so patient as I took the time needed to figure out the best course of action with my doctors. Thankfully, I am so relieved and happy to share with you that I will be getting back on the road in June 2018 with my El Dorado World Tour in Europe, and the US, with Latin America dates to be announced soon." Shakira added, "I am very proud of this show; I feel it's my best yet, since it has a repertoire filled with heartfelt songs and exciting moments of music and dance. I really can't wait for June! I promise to give you all of me and more from the minute I get on that stage and I am counting the days till showtime!" Live Nation, the promoter for Shakira's shows, announced in a press release that "Shakira's doctors have determined that she needs to spend the next few months working towards recovery in order for her vocal cords to be in optimal condition for touring, and as such we are obliged to postpone the U.S. leg of the 'El Dorado' World Tour, previously scheduled for January 2018. Tickets will be valid for the new date in your city or can be refunded at point of purchase if needed." "Though it has been a difficult time for Shakira, she is on her way towards recovering her voice fully and we are pleased to announce new dates for both the U.S. and European legs, beginning in June 2018. Please note Mexico and Latin America show dates are forthcoming," the press release said. "While disappointed to not be able to perform in January as scheduled, Shakira is happy to be able to get back on the road by summer with her best show yet, and remains incredibly grateful for all the loyalty, patience and support her fans have shown her. Please see below for new European and U.S. tour dates, and we thank you again for your understanding."